So….I’ve been guest cooking a bunch lately. (Read, cleverly escaping the cold and inviting myself to friends’ homes located in warmer climates – trading off home cooked meals and kitchen tips as currency). On one such recent stay, I was at the home of a friend who had lost pretty much everything in a dryer fire – v dangerous those dryer fires, fyi. She and her husband had culled through their belongings and tossed what they deemed ‘unsalvagable’. Sux. They don’t cook with any regularity. OK, they don’t cook at all. Not their thing. They both work full time, they have three kids (fab boys), 4,500 baseball games per week and then more on the weekends….yada yada yada. There’s a lot of pizza, pasta, mac & cheese, take out, slurpees, bagel bites (huh? ), refrying, reheating, microwaving. You get it. When it came time to assess their kitchen stuff post fire…well, most of what they had in their culinary arsenal, was as old as their marriage…but, had not fared as well, I’m afraid. Some of the damage everything in their kitchen suffered was due to the fire. But, maybe more of it was due to years of use and abuse. Which brings me to their current frying pan situation. 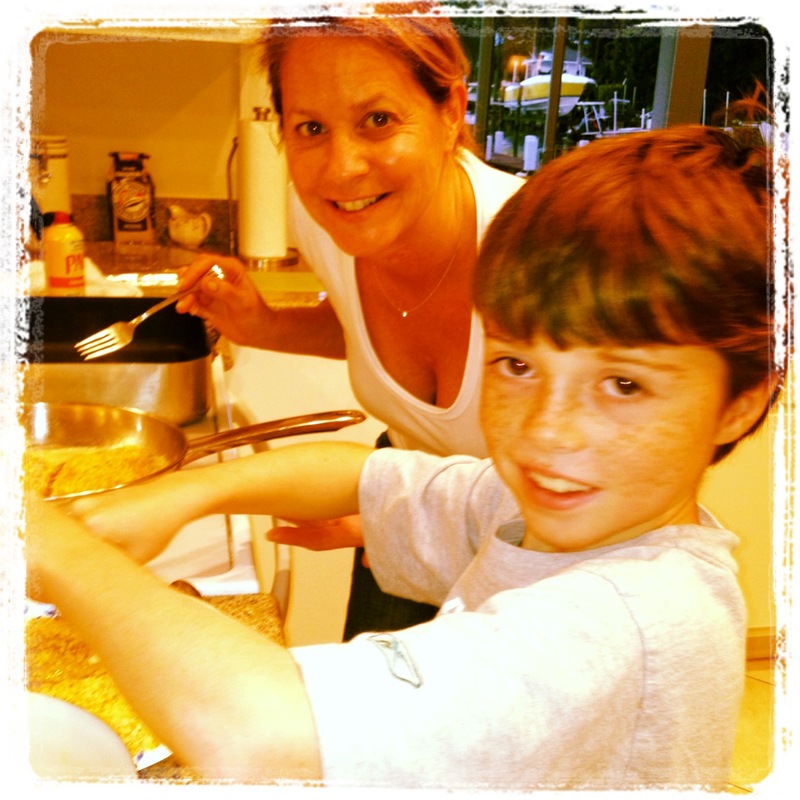 I was gearing up to make chicken milanese for them and their brood of boys – 8, 12 and 14, so grown up…seems like just yesterday I was teaching them the diarrhea song. So, I got to thinking about the care and feeding of non-stick pans and did some research on the Internets. My my! People are passionate about Teflon. Seriously, very emotionally heated debates online. I found one woman who wrote an entire article about how the fumes emmitted from her teflon pans had killed her canaries. OK, if she says so. Others cited sources from Wikipedia to NASA and research studies from Harvard to Stanford. There are usage guidelines, recommendations on what temperatures to cook at or below, how to store, how to recycle, which tools are OK to use on teflon pans, which are not, how to clean. There are literally thousands of blogposts, studies and articles with millions of tips, tirades and touts. Here’s the Schtick on caring for Non-Stick. 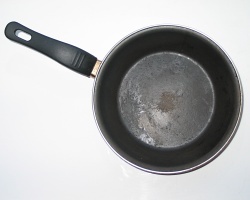 Throw out your coated teflon pans that have suffered scuffs and scrapes from years of abuse. We don’t really know if you (or your canaries) will DIE if you accidentally injest a flake or two of teflon. But, do you really want to find out? 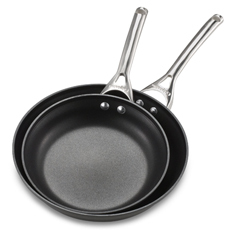 More importantly, once the teflon coating is compromised, the non-stick aspect of the pan is ruined. RUINED, I say. So, pitch the pan for this reason alone. 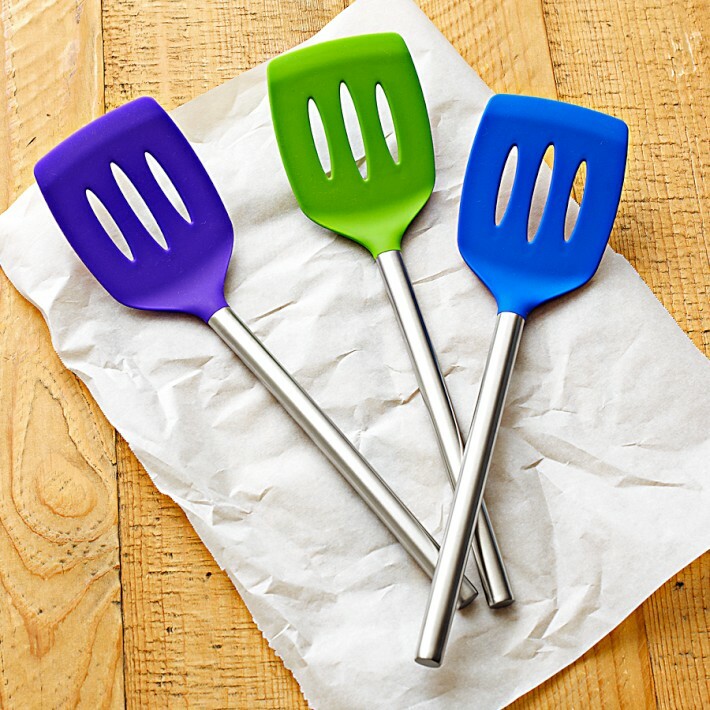 Do not use a metal spatula, but rather a rubber or silicone one – OK, I’ve used my fish spatula with a non-stick pan, but very very gently! Put some paper towel or cloth between your pans if you stack and store like I do…it will keep them from scraping AND from making that clanking noise when you put them away or take them out. Bear in mind that everything has a shelf life – sadly, even your pots and pans. So, evaluate the condition of the pots, pans, Santa Christmas lawn ornaments, giant salt and pepper shakers and whatever else you might have received as a gift from your first wedding. It may be time to toss these. The 4-day 1-day sale is upon us! Today I spent some time in Macy’s home section. It’s the preview to the preview of the 1-day sale that starts Friday and ends Sunday night. Plus, I had a 20% discount card and a $20 off card. AND, I went to the ‘closeouts’ room…a lovely woman told me about this secret and fabulous place. Inside the secret ‘closeout’ room, I found a two-frying pan, 10″ and 12″, non-stick, oven safe set. As a thank you for last weekend and a pre-thanks for this coming weekend…I’ll be hand delivering these to my pan abusing pals tomorrow. And, to be sure that these shiny new non-stick pans don’t meet the same tragic abuse as their predecessors, I’m also bringing my hosts a silicone spatula and the schtick on caring for non-stick. As the little people (not short, but younger) in your life age, they become much more creative, interesting and culinarily challenging. I’ve just returned from a weekend of kids-cooking in Cincinnati with my niece and nephew (oldest brother’s kids). I used to get away with simple recipes like pancakes and cupcakes and fried chicken… But, now the kids are older and demand more from our kitchen creations. When my middle brother visits my niece and nephew, he entertains the kids with movie making, science experimentation, Harry Potter regaling and intellectual conversations. He’s a Potter Scholar, Science Junkie and PHD in Philosophy – please address him as ‘Dr. James’. My visits, though, involve intricate meal planning, grocery list organization, food procurement, inspired baking and cooking. 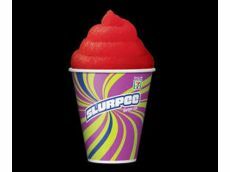 It starts weeks in advance of my arrival. The kids are old now – 14 and 13. So, I email them proposed menus and we go back and forth via text and email in the days leading up to my visit to solidify a weekend’s worth of kitchen entertainment. Several criteria for each creation must be met. Firstly, the culinary endeavors must include an element of artistry. My niece is an amazing artist – like really good. 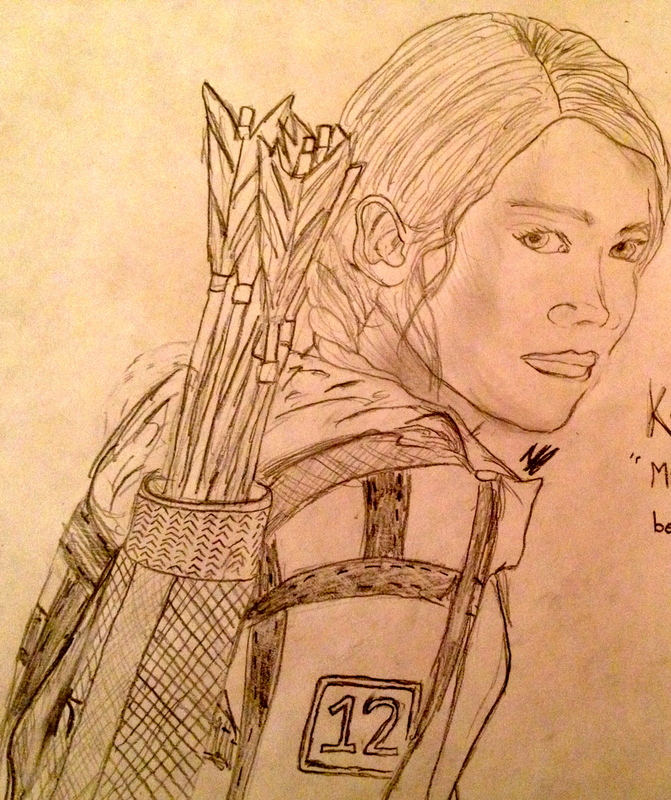 She gets it from my brother – actually, both brothers draw. I, on the other hand, can barely scratch out a stick figure. 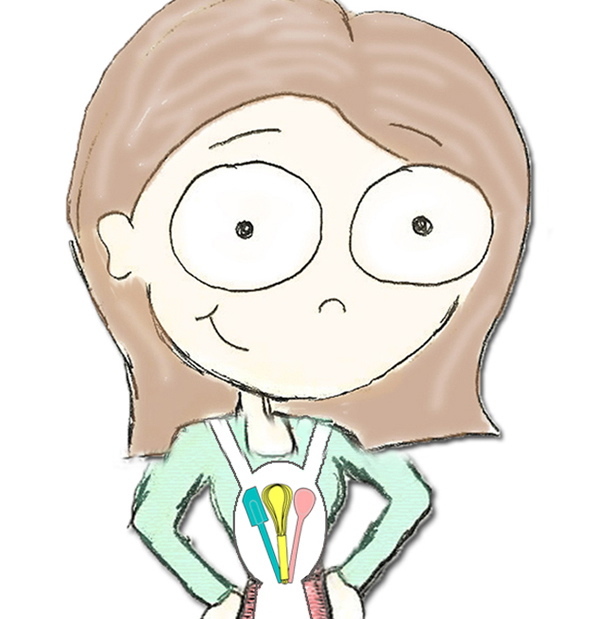 In addition to my niece’s inspired cartoon characters – the AnniesDishList icon – she does incredible portraits. Secondly…we must satisfy their yen for all things scientific. My nephew has been fascinated with science and space since birth. 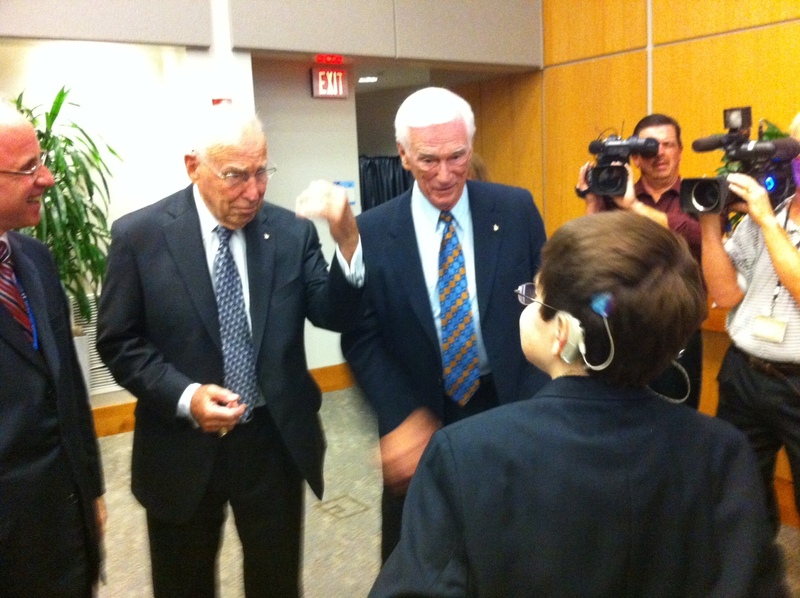 At 14 he has met John Glenn, been to Cape Canaveral, experienced Zero G and has already targeted three universities. Cal-Tech has a partnership with the Jet Propulsion Laboratory (he’s visited) and preps students to join this elite group of scientists. 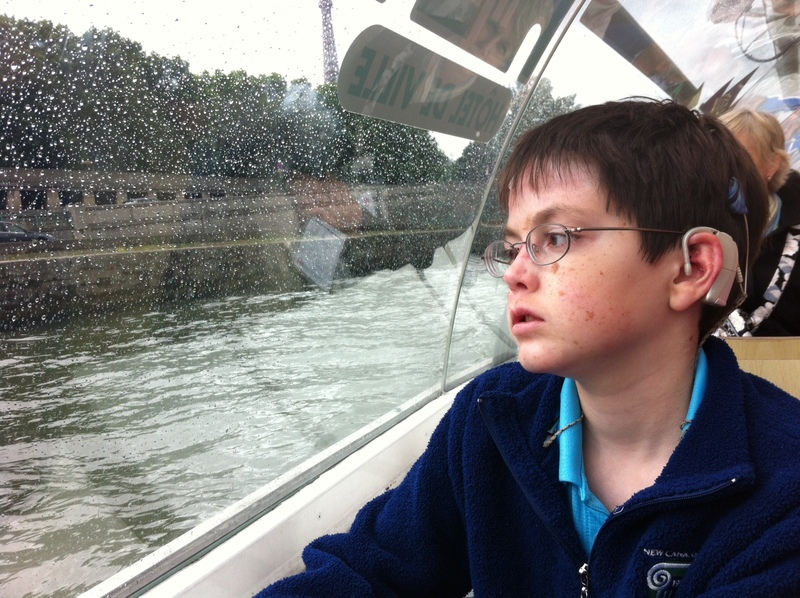 Stanford has the leading research lab for his rare skin condition. And… MIT…because, well, it’s MIT. Lastly, we like to layer in a hint of the dramatic. My people are a dramatic people. It’s genetic and inescapable. In my brother’s family, even the dog is dramatic. Unlike most dogs, their dog, Fred, hates going outside. 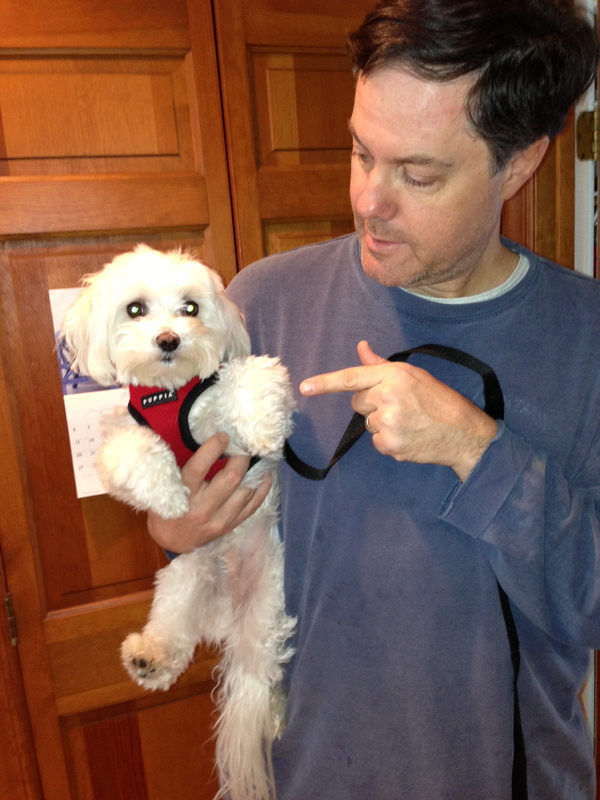 The tiny hypo-allergenic pooch starts to shake with terror the moment he catches a glimpse of his harness and leash. Here’s a pic of the dog trying to avoid a trip out into the snow and cold by faking, yes faking, a paw injury. Apparently, the dog does this every time he’s confronted with the terror of venturing outdoors. Oy! So the weekend kitchen challenges had to incorporate art, science and drama. For snacks, we selected a spherical theme. (Everything below is like OTT fattening…don’t judge. They’re very thin, active kids). 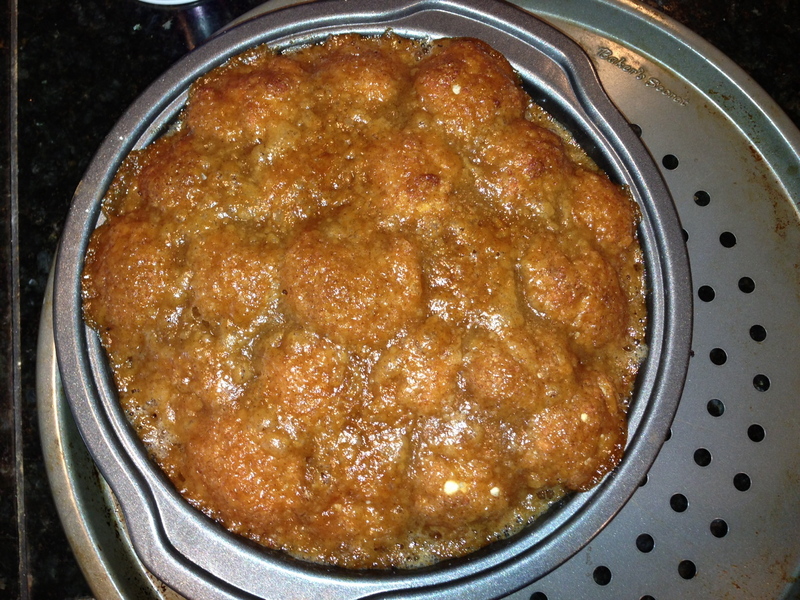 Monkey Bread: artistic abilities tapped as we strategically placed dough balls in a pie plate. I’m not sure why it’s called monkey bread…It should maybe be called super fattening, sugary, buttery bread balls of gooey goodness. We carefully melted an entire stick of butter and then stirred in brown and white sugars and cinnamon. 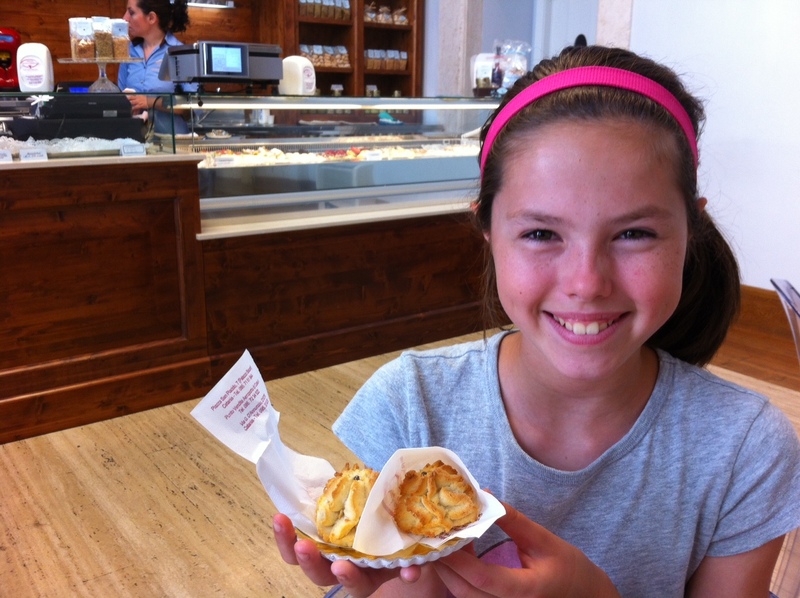 Once the sugars disolve, the resulting gooeyness is creatively poured over every inch of the dough balls before the entire thing is baked in the oven. 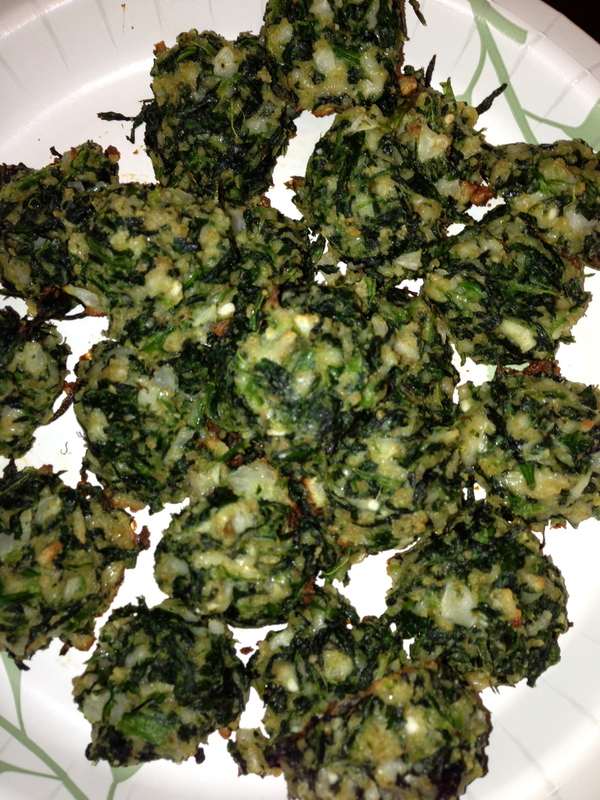 Next….Not too dramatic or scientific…but, creative and relatively goodish for the kids and satisfying our spherical theme…We made spinach party poppers. One might argue that the spinach element balanced out our not so healthy Super Bowl weekend indulgences of guac and chips, monkey bread, pancake breakfast etc. One might argue that for sure. Spinach Party Poppers. may be the best way to get kids to eat spinach. And, represented the vegetable portion of our weekend food fest. Satisfying the scientific challenge was probably the toughest part. In advance of my arrival, my nephew had proposed a series of molecular gastronomy recipes (damn Internet). All of the recipes included ingredients you just can’t get at the local Kroger like Sodium Alginate, Agar-Agar and Calcium Lactate. Some of the recipes included tools not found in most kitchens like an ISI Whip or a Flux Capacitor…at least it may as well have called for one. We tried to find what we needed. We even called every Brookstone in a 25 mile radius looking for the Molecular Gastronomy kit…And, some super gourmet organic-y food specialty store in Kentucky in hopes of finding any one of the necessary ingredients or tools. But, no go. 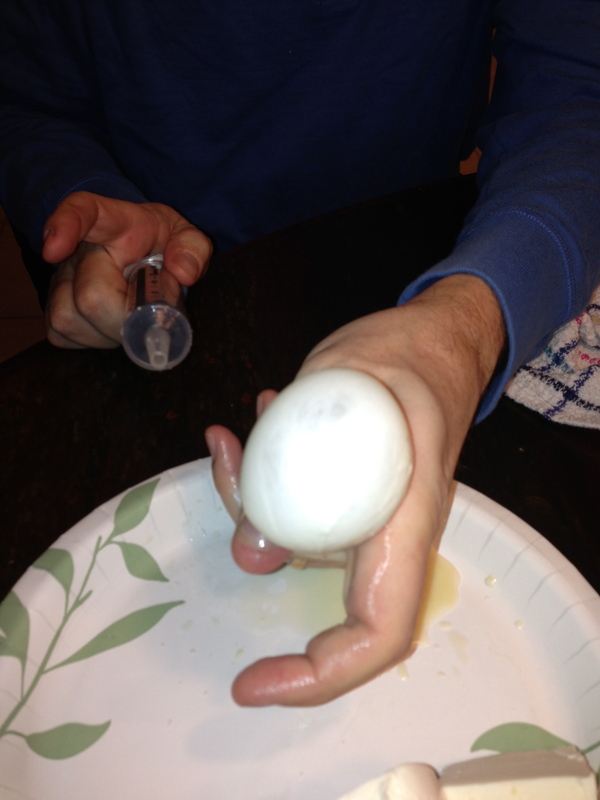 So…as we had no ISI Whip we improvised and used a medical syringe to create mozzarella balloons. In the end, the cheesy balloons were as simple as heating up the mozzarella in simmering water. Then wrapping the malleable cheese around the tip of a syringe and inflating the cheese with air. My nephew initially wanted to use my brother’s bike pump – but, if you’ve seen ‘This is 40’, you know no self-respecting 40-something biking enthusiast father would allow that. These were pretty cool. In the Molecular Gastronomy recipe, one can fill the balloons with herbs, spices or other tantalizing aromas by infusing them through the ISI Whip….We were just happy to inflate the cheese and then proudly display the inflated cheese creation. I like that the little people are like real people now. I’m a little biased, and they really are challenging, interesting, interested, funny, smart, creative great kids. In total over the course of three days, we made over 10 culinary creations. And, even though every dish might not have met the artistic, scientific, dramatic challenge, cooking with these two was really a ball.